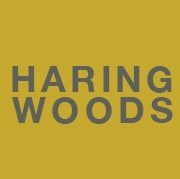 Haring Woods developed PerceptionAREA, a successful model of creative public consultation and engagement which devises non-confrontational situations to capture the perceptions of targeted individuals and groups about specific issues. These issues concern equally the social and physical aspects of public spaces. Each consultation is developed in collaboration with the client and project partners to clearly define the objectives, budgets and resources. The process provides valuable qualitative and quantitative information, supporting traditional consultation and market research methods. We collaborated with politically astute artists trained in engagement to devise social situations where the community felt confident to express their opinions and ideas with the knowledge that these views would be shared and used to inform change. The engagement process was monitored by the project team and documented by the artists to produce an art work, usually in the form of a short film, a book or website which was presented to and shared by the contributors and the clients. PerceptionAREA has proved especially successful when aimed at engaging the ‘hard to reach/hard to hear’ members of a community, recognising how every member of the community is a vital stakeholder and participant in the democratic decision-making process. PerceptionAREA project results have helped to identify savings in expected budgets and to secure significant new funding from partners and public agencies. The process helps to restore trust in the professionals responsible for decision making and delivery in the public realm. Over the past 6 years, PerceptionAREA projects have been commissioned in the UK throughout the county of Hertfordshire, by the local and district councils through the Green Heart Partnership initiative and also in Essex and London. PDF’s of PerceptionAREA project documents are available as downloads on request. This consultation on the ‘Greening of the Hertford Road’ for the London Borough of Enfield produced an innovative engagement situation and a film by Karen Whiteread. A new Community Cohesion Strategy for the county of Hertfordshire, devised by Proboscis. HWS commissioned artists Grennan & Sperandio to undertake a public consultation around the question ‘What could a library be to you?’ to inform the redevelopment of South Oxhey Library. A three-phase creative consultation and design process resulting in a major redevelopment of the Town Centre Gardens. Jaywick Rocks Link to Jaywick Rocks film. Lois Whiteread spent six weeks talking to and filming people who live and holiday in Jaywick, finding out what was special to them about this unique coastal place. Over 100 visitors and residents describe, remember, recount and laugh their way through Jaywick Rocks, a film which expresses the enthusiasm and deep sense of belonging to Jaywick. A Perception AREA film by Karen Lois Whiteread about the community centre and open space around it, in one of the most deprived areas in East Herts. Filmmaker Sanchita Islam consulted with the diverse ethnic community in St Albans about their perceptions of Clarence Park to inform the development of its Management Plan. A Perception AREA film by Rayna Nadeem about Bushey Arches which informed capital developments and a lighting installation by artist Tony Stallard. Artist Simon Honey spent 3 months on the Wormley Estate finding out what the community wanted for a new centre through this Perception AREA project.